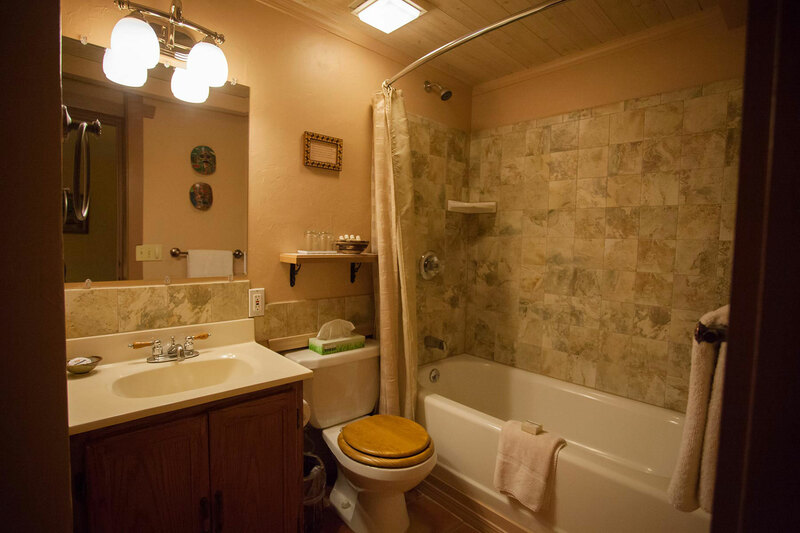 Perfect for a family or group of four (or five) friends, this spacious suite features two separate bedrooms with en-suite bathrooms, and a large, private family room. 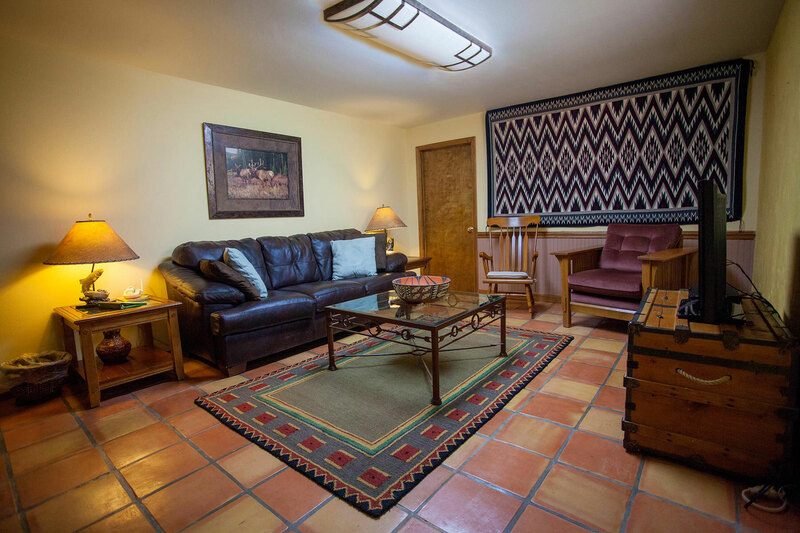 Located in the lower level of the main house, this suite continues the Inn’s southwestern décor with a beautiful Navajo rug collection and a saltillo tiled floor. This spacious suite can accommodate up to five guests, with the fifth guest being charged an additional $25 (or a total nightly rate of $270 for 5 guests). 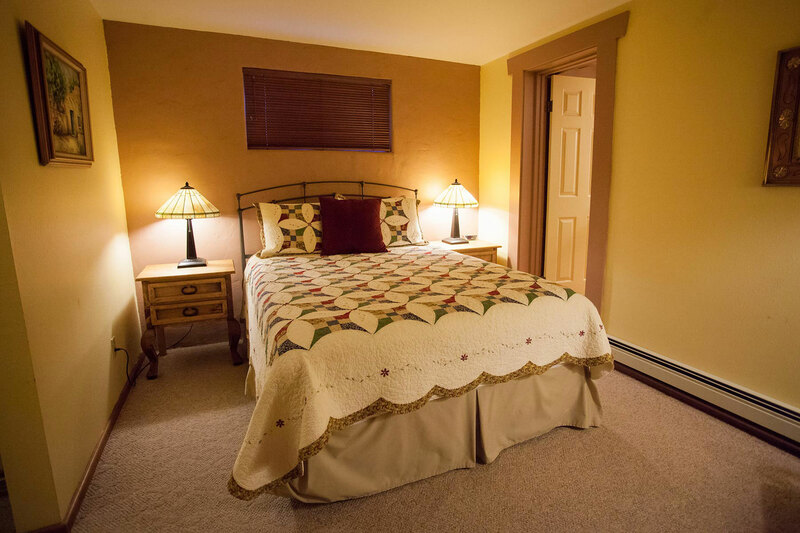 We do offer a reduced rate of $155 for two guests using just one of the bedrooms (when all the other rooms at the inn are occupied). We accept Visa, Master Card, Discover, American Express, personal checks and travelers checks. 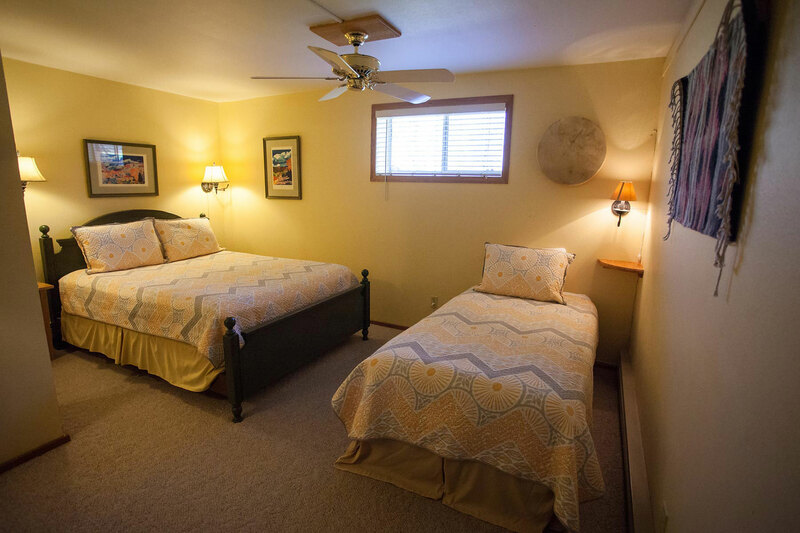 Room rates are per night, and are based on an occupancy of 4. The rate includes a full breakfast, complimentary teas and coffees, and free use of all amenities. Check-in is from 4:00 p.m. until 9:00 p.m.; check-out by 11:00 a.m.
Arrivals before 4:00 p.m. are welcome with prior notice. Arrivals after 9:00 p.m. are discouraged and require advance notification. If you’re staying for just one night, we require full payment in advance. If you’re staying for more than one night, a 50% deposit will assure your booking, with the balance due upon arrival. Reservations made within 14 days of arrival require payment in full, regardless of whether you’re staying for one or more nights. 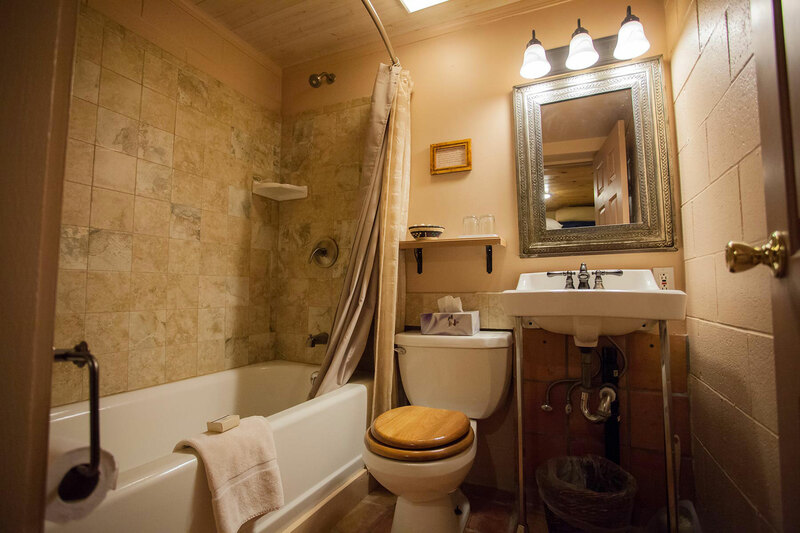 Most rooms are for single or double occupancy, with a few exceptions. Additional guests are charged at a rate of an additional $20 per person, per night. We’re happy to give a refund on all cancellations made 14 or more days prior to arrival. For cancellations made within 14 days of arrival, you’re responsible for the full amount of the stay unless we’re able to rebook the room. If you’ve reserved two or more rooms, you’re subject to a 30 day (one month) cancellation policy. There is a $25.00 service fee for cancellations, and we don’t refund early departures. All rooms are strictly non-smoking. Smoking is permitted in designated outside areas. No pets are allowed.